Following orders from the High Court in March 2018 for new air quality plans to be drawn up, new research has found that the air pollution health crisis is worse than previously feared with eight areas of the UK particularly at risk. The new plan, which shows how the Government will address illegal levels of air pollution in 33 local authority areas in England, revealed that eight of them have far worse levels of illegal air pollution than Government figures previously suggested. Portsmouth, Liverpool, Leicester, Bradford, Bolsover, Broxbourne, Newcastle-under-Lyme and Stoke-on-Trent are the areas that are suffering the effects of 'persistent exceedance' of legal air pollution limits. These councils had carried out more detailed pollution studies to feed into the court-ordered plan. The new research also shows that some areas may have to wait until 2028 for legal levels of pollution, unless urgent action is taken to tackle the problem. This was the date London was forecast to comply if no further action were taken. "Amazingly, ministers have now ordered more plans, which means more delays. It shows a shocking lack of leadership on a key public health issue," said ClientEarth clean air lawyer Katie Nield. However, 12 local authorities were not required to take any action to tackle air pollution because they were projected to have legal levels of air pollution by the end of 2018. Given that local assessments in other areas have shown the problem to be worse than the Government thought, it is possible these local authority areas may also have worse air toxicity than expected. "Eight years after legal limits came into force, the true extent of the problem is being uncovered for large areas of the country. In the meantime, people in these areas have continued to be exposed to dangerous levels of air pollution." While this isn't the killer smog that rolled across London in 1962, the current diesel exhaust fumes health catastrophe is arguably a far more insidious killer. 40,000 people die from dirty air across the country every year, with vulnerable people such as those with existing respiratory problems especially at risk from exposure to pollutants. Current plans include measures like Basingstoke and Deane Borough Council potentially reducing the speed limit from 70 to 50mph on a section of the A339. However, further scoping work is required to identify if this is a feasible option. Other measures include optimising traffic signals, retrofitting buses to meet higher Euro emissions standards and car sharing schemes. 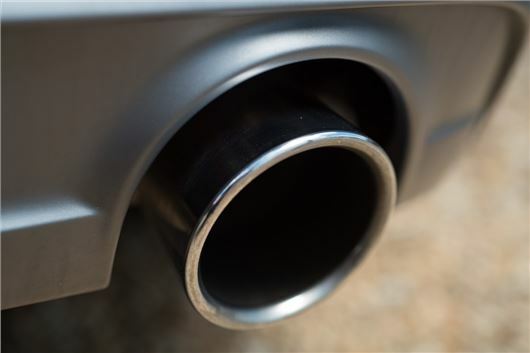 Clean Air Zones, like those that have banned older cars from London and Paris, may also be introduced across parts of the UK. The research can be found here.